Just been to have my front pads and discs fitted and been told that they cant be fitted as my calipers are seized (4 pots in total). I've been to 2 garages which confirmed and showed me. Can anyone recommend anywhere to get recondition subaru 4 pots for a late UK classic turbo other than the sites listed below. I think the first link are not genuine subaru parts. I only need the calipers as Ive got the pads and discs. found these if any use? Last edited by scoobymike79; 06 Jul 2012 at 10:13 AM. cheers lads, that godspeed seal kit looks promising. I'm going with the scoobyworx exchange when I get round to it. I've got a perished seal but just passed MOT so no rush. Powdercoated in your choice of colour. I might go with the WRX PRO ones or a decent set of 2nd hand Subaru ones. Not to bothered about the WRX PRO down the side as im getting the calipers colour coded during the respray very shortly. 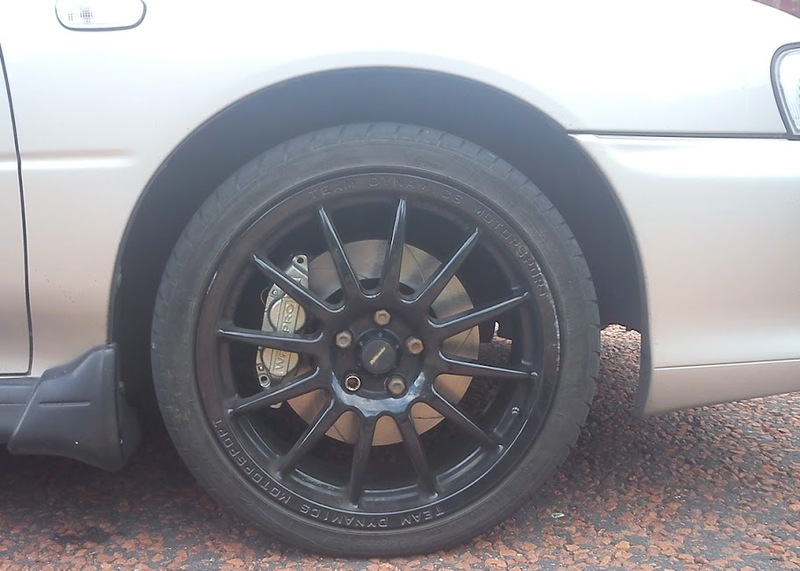 Just ordered the WRX PRO ones from Brakes International on ebay just under £160 for both. I've been trying all week to get the old calipers off and both bolts on each caliper are stuck solid, I've tried spraying WD40 on them, even went out and got a power bar/breaker bar today to find that I've ended up shattering the socket on the end of the bar. Any ideas on loosening these bolts. Im replacing the calipers, pad and discs but the new calipers don't come with replacement bolts. Thought of that, but I might end up damaging the brake pipes or setting fire to something. done properly you will be fine.. Finally got the WRX PRO calipers fitted with Scoobyworx discs and Black Diamond Fast Road pads. To be honest it makes very little difference in appearance having WRX PRO or SUBARU down the side.